There are five books in the first trilogy of my Star Saga series. It’s called the Starforgers Era or Trilogy but it really consists of five books and one anthology of related short stories. Each numbered book is a novel and each in between book is a novella focusing on the lead good and bad characters respectively. Did you enjoy the introduction of the heroin, Devon Ardel, when she was a Stellar Ranger in Starforgers? Then feast your eyes on this anthology set before book one. 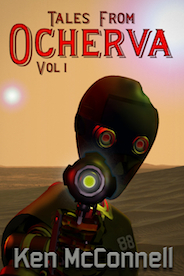 Silicants, Rangers, and Space Western goodness await you in Tales From Ocherva, Vol 1. Is there a Volume 2? Not at this time. Okay, you got all of that? Good. Now, here’s where the Corvette books come in. Corvette is book one of a planned nine-book series of novella’s that follow the career of Armon Vance. This series consists of three trilogies, each set a number of years apart. The final book in the series takes place at the time of Starforgers, Book 1 of the Star Saga. 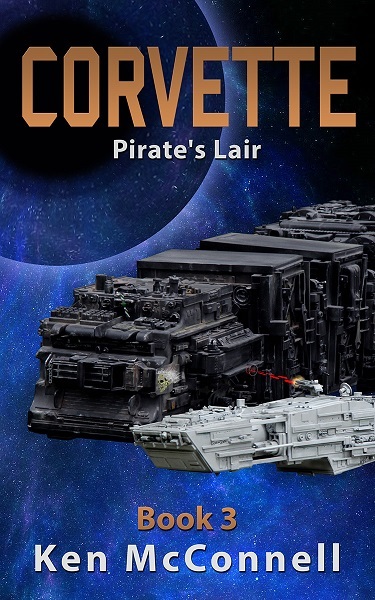 The first book, Corvette takes place 20 + years before Corvette, for perspective. There is about a year between each book inside the trilogies. Clear as mud? Okay now go read, I’ve got a ton of books to write! 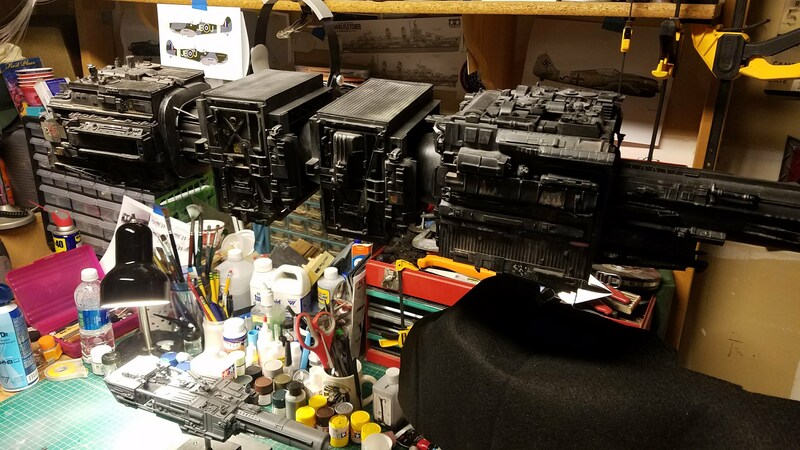 The Corvette 3 manuscript is being scrutinized by Beta Readers at the moment, so I have some time to prep the starship models I built for the cover shoot. This began by using canned air to blow the dust off of both the pirate ship and the new corvette. More time was taken on the Kootenai to ensure dust and hairs were removed as it would probably be in the foreground. I had to glue a piece back on that the air can blew off, but other than that, they were good to go. 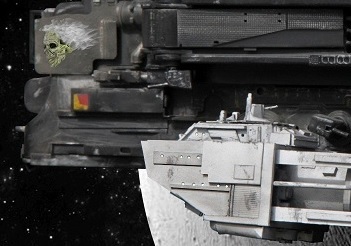 I still don’t have an exact idea how the ships will be positioned on the cover. I’ll try and replicate a scene from the novella and make it look visually interesting. But the end cover will come alive after a decent Photoshop session from Byron, my cover artist. The color scheme will include mostly blues and oranges. 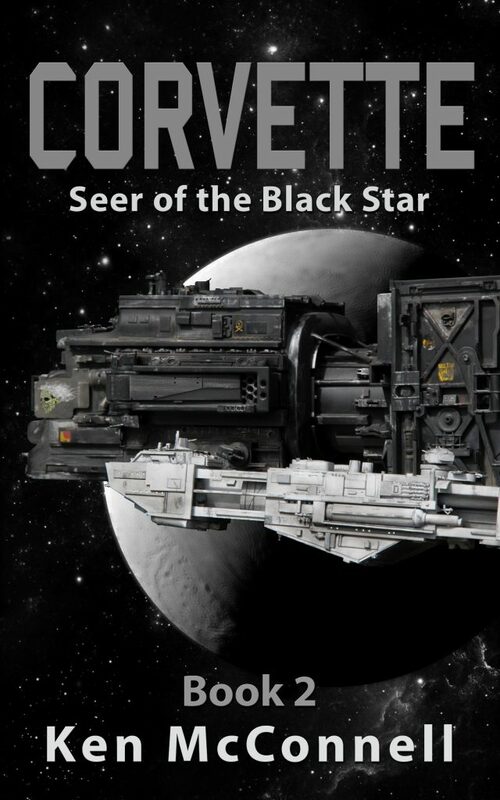 No more black and white covers like Corvette 2. The title will be orange and the nebula and twin black holes in the background will be blue. I’m going to rely on Byron to make all that. I think the end product will be engaging and fit with the previous covers of the series. Since this is a trilogy and the next books will be called Destroyer, I’ll probably combine three novellas into a single book and charge $1.99 for it. That cover might be just a collage of the other covers. The ebook should be out at the start of this summer with the paperback version probably coming out in the fall. 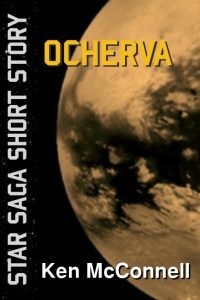 A few years ago I wrote a bunch of short stories about a Stellar Ranger company stationed on a small, desert world named Ocherva. 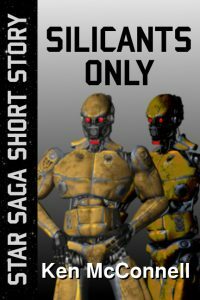 Those stories eventually culminated in book one of the Star Saga – Starforgers. The western style hero of my stories was a blonde woman named Devon Ardel. Devon went on to become the central character in the first three Star Saga novels and a huge reader favorite. But she was born from a long and masculine tradition of the American cowboy and more specifically the Texas Rangers. 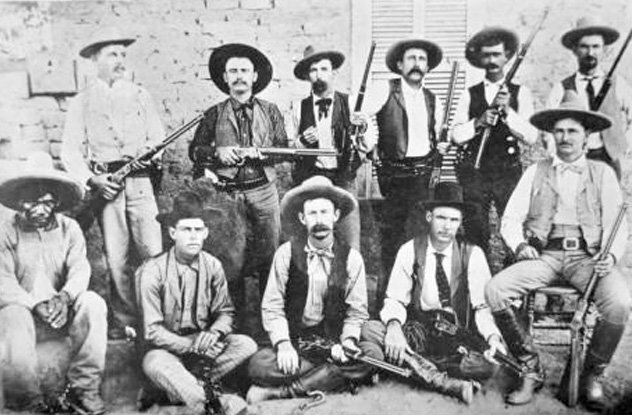 Pictured above are some actual Rangers posing with their weapons. Pretty much the quintessential western bad asses. So I created the Stellar Rangers in their image. 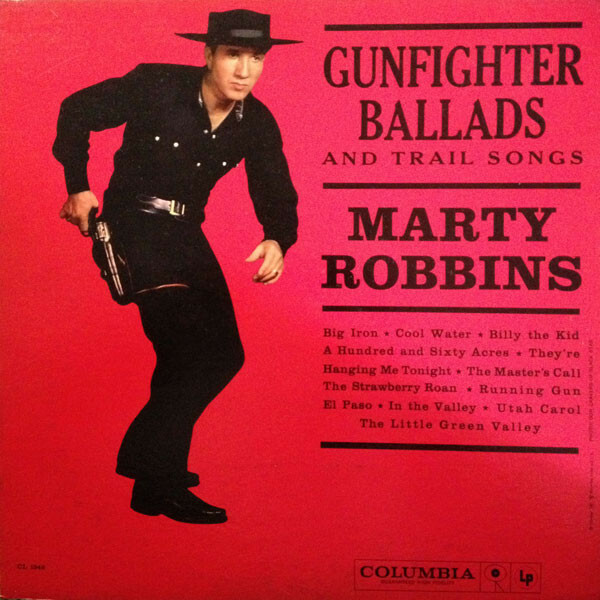 But in my research about the west and lawmen I came across a 1950’s album called Gunfighter Ballads by Marty Robbins. I loved the gunslinger pose Robbins did for the album cover and specifically I liked the flat brimmed hat he wore. That became the look of my my Stellar Rangers. As I listened to the album I quickly became a fan of Marty’s music. 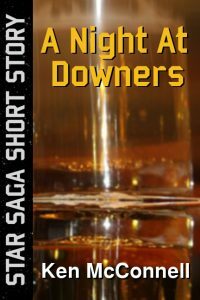 Some of my short stories make references to songs on that album that probably only a Marty Robbins fan would pick up on. I’m not a fan of today’s Country music but I really enjoy these Western songs from the 1950’s. If you’ve never listened to this album you owe it to yourself to give it a spin. 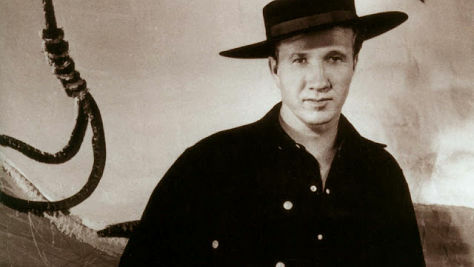 Great stuff and great musical story telling by Marty Robbins. When I set out to write the Corvette novella I specifically designed it to appeal to a certain type of reader and for the most part, that reader type responded and made it my most popular novel to date. 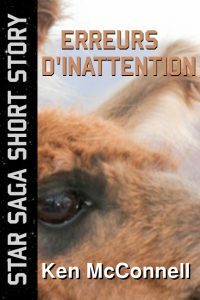 I also intended it to guide new readers to my Star Saga series which it has, quite nicely. 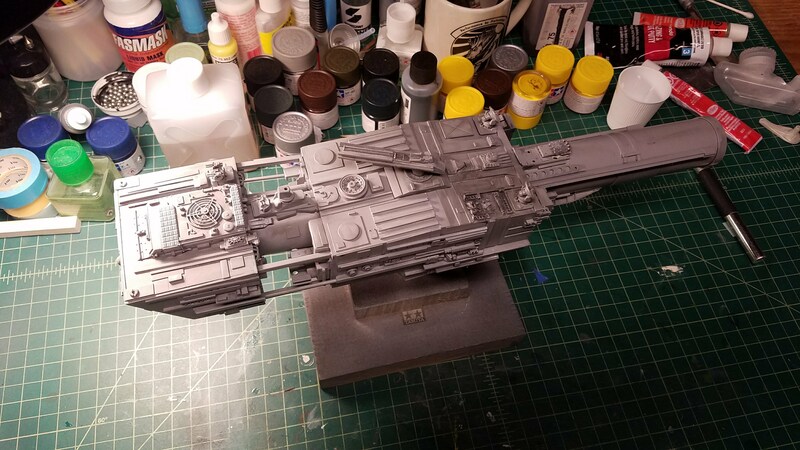 I didn’t expect it to do quite as well as it has, but now that fans have found it, they deserve more stories about the crew of the oldest corvette. I spent the early spring months of this year brainstorming about where to take the crew next and what kind of stories to tell. I went off on a tangent that I thought would have been awesome and then realized that the readers of Corvette, probably wouldn’t accept what I was writing. So I stopped and recast and re-plotted the story into what you can read today as Seer of the Black Star. It’s hard to talk about the new book without triggering spoiler alerts, so I’ll talk about it from a 30,000 foot vantage point. The big picture. I decided to make the Corvette books a trilogy in the classical sense and to loosely follow the career of Commander Vance. 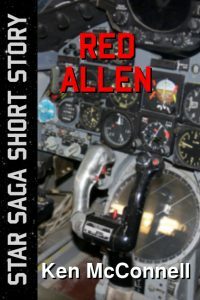 There is one year between each book of the trilogy and the over-all character arc concerns how Vance adapts to being a captain and handles some difficult crew issues and tough villains. 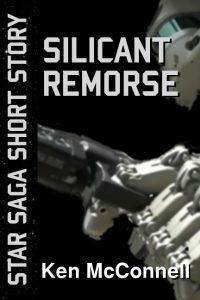 If the trilogy continues to sell well and there’s a market for more books about Vance, I will continue his story as a Destroyer captain in a second trilogy. There is a very definite finale in mind to Vance’s character arc and hopefully readers will get to that point. In Seer of the Black Star we start to see how a respected loyal crew member can go rogue and leave the Fleet. In many ways Vance takes that personally as he is involved with that crew member. But it is more than just a strained relationship story. There are rises and falls in many of the minor character arcs in this trilogy. As for Commander Vance himself, his career will take its own path and it’s not always going to be the proper one. I hope you come along for the ride. It’s going to be fun.